Home security is more than just locking your doors at night or closing the windows when you’re away for the weekend. It’s about keeping you, your family, and your property safe from harm and intrusion. Protecting your possessions and belongings in your home takes careful attention, but don’t worry – we’re not telling you to hire armed guards to stand watch every night or when you leave town. We’re talking about using tried and proven home security methods for San Diego homes. You can look at full home security systems, at surveillance systems, at smart locks, at window sensors, and more. Your home security should be something that keeps you feeling safe and secure without having to worry about it all the time. Here at Green Locksmith San Diego, we’re anxious to help you figure out the best home security system for your San Diego home. If you’ve got the funds, you might want to consider getting a full home security system installed. You’ll have the whole home hooked up to this system with electronic door locks, cameras, monitors, and a central access control panel for you and your provider to access anytime. Your options include cellular security systems connected through cell towers, broadband security systems connected through the internet, wireless security systems connected wirelessly, and landline or hardwired security systems connected through your phone or wiring. This definitely works and is worth considering if you want to leave your home security in the hands of a trusted provider instead of putting it all on your own shoulders. If you choose that route, make sure you’re inspecting your provider carefully, reading all reviews before you choose them, because you want to make sure you are happy with your service. However, it can be more economical if you’re willing to put forth a bit of organization on your own, and we’re happy to help you out with the following advice. And for starters, we recommend that if you’re going it on your own, stick with wireless security devices. Cameras are a great start for home security. Sometimes just seeing a camera on the ceiling can deter someone from trying to break in. And in other cases, if it doesn’t deter a criminal, the camera will catch the person in the act so they can be punished for their crime. You’ll find all kinds of great options out there, such as dome cameras, smoke detector hidden cameras, and pan tilt zoom cameras. Some are motion sensor activated so that they aren’t wasting your electricity bill by being on all the time; it takes someone walking by to activate the camera. Using proper lighting is another important part of San Diego home security. We recommend that you look at using multiple lights of moderate to low wattage, which will save electricity and will help you to see better in the semi-darkness. If you have only one or two flood lights, it will make those areas very well lit but it’ll be easy for an intruder to hide in the shadows. But if you have many small and low wattage lights placed strategically, you’ll have a clearer view of your entire property. 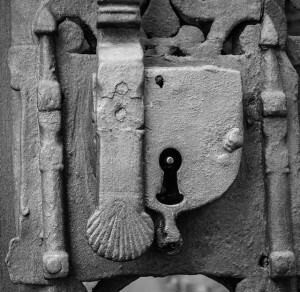 Of course, door locks have been used for centuries. But there are so many options out there today that there’s no reason your doors can’t be complete secure. Deadbolts, chain locks, automatic locks, smart locks that only open with the right digital Bluetooth key…take a look and choose the perfect option for you and your home. Make sure you choose one that is safe and secure but also easy for every member of your family to operate, should they need to. All around your home, you can place sensors that will pick up on motion. A light sensor can turn on when someone walks by. Window sensors can set off an alarm when someone breaks the window or opens it. And home automation can make it even more secure. You can have lights, the radio, or even the TV set to turn on at a random time so that you appear to be up and about. That alone will send almost any housebreaker running the other direction to avoid detection. When you go away on a vacation or business trip, you want your home to be safe and secure so that when you come back, all is well. And who doesn’t want that? With a reliable home security system, you can have just that. Your home security devices can be set to wirelessly connect to you at all times, so that the moment something unusual happens, you are notified. You can receive an email saying the power went out. You’ll get a text alert when your smoke alarm goes off. There are so many options that will notify you of the status of your home that you shouldn’t have any reason to worry about it being protected. Besides security against intruders, home disasters are also a threat to home security. You want to make sure that you’ve got your home protected against fires, floods, carbon monoxide poisoning, and more. To do this, make sure to install and regularly inspect flood sensors, fire detectors, carbon monoxide alarms, thermostat sensors, and any other necessary sensors. These will warn you when something unusual is happening that needs attention, and you can get the right professionals there to assist you in fixing the problem and restoring your home to its proper condition. Additionally, good habits will keep your home secure. Have all security devices regularly checked to make sure they work. Use window shades and lock all doors when you leave the home or go to sleep. Use lights on timers, and block easy access windows with large bushes (particularly thorny ones). Never leave your garage door open, and don’t keep valuables in the garage or car. Put all valuables out of sight, and lock them up if possible. Lastly, know your neighbors! If you’re friendly with the people living around you, they may notice when someone they don’t know is trying to get into your house.